"Dance is all about enjoying the process"
Born to Padma Bhushan awardee Kuchipudi dancers, Dr Raja and Dr Radha Reddy, Yamini gave her first dance performance at the age of three. She has received Sangeet Natak Akademi award, National Bismillah Khan Yuva Purasakar and Devadasi National Award among others. She was the first dancer ever to perform at the Wigmore Hall London in 2011. She has performed for various heads of countries at the BRIC and SCO summit in Russia (2009) and performed before the president of Hungary during his visit to India. She teaches Kuchipudi at a classical dance institute in Hyderabad established by her parents. What is dance to you? It is intricately woven into my life. Most people view dance as entertainment. But having been with it since birth and watching my parents (also through my own experience), I have come to realise that dance is a very wholesome way of living. As professional dancers our body and mind are always in sync. The spiritual aspect of dancing helps us nurture our soul and creativity enables to express our individuality. How have your parents influenced you? They have taught me so much more than dance. Their ethics and principles constantly reflect in me. They have taught me values such as hard work, commitment, honesty, sincerity, love and compassion. 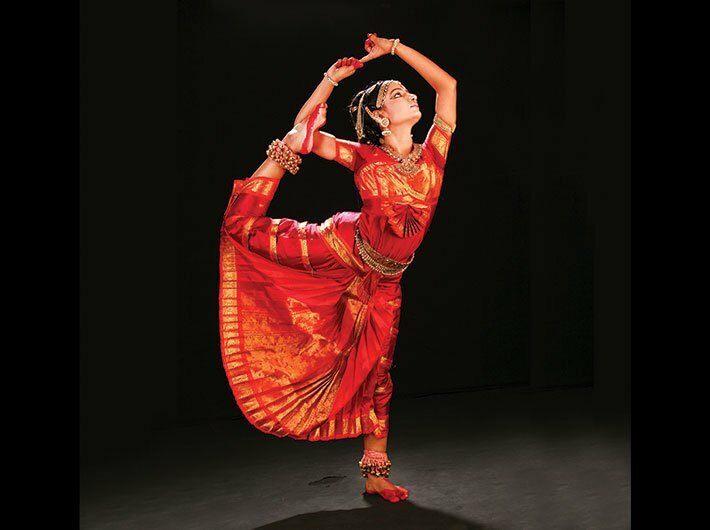 How is Kuchipudi different from other dance forms? Kuchipudi originates from dance dramas known as Yakshaganas or Veedhinatakams. It is an interesting method of dance-drama. The sporadic items that are now performed as solo items find their roots in ancient items, which have evolved to suit the present-day needs. This makes Kuchipudi effervescent. How do you experiment with art? I prefer to do it without disturbing the grammar of the art form. I find new and interesting ways of presenting the traditional Kuchipudi, for example, by using shadows and silhouettes during introductions, costumes, light, etc. When I performed ‘Shiva Dance’ with my father. I also fondly remember the first time all five of us – dad, mom, Kaushalya mom, Bhavana and I – danced together as family. Challenges in combining different classical dance forms? Every dance has its own grammar, which has been exhaustively researched over centuries. To meddle with it is not right. While doing any sort of fusion work, it is wise to thoroughly research every aspect. How was the transition to move out of your parents’ shadow into your own? Having legendary parents is not easy, especially when you are trying to make a mark in the same field. Your work is judged with a lot of expectations, which you are expected to meet at a young age. But if you are true to the art and work sincerely your work will shine. The transition can be exhausting. I do not measure myself against my parents. 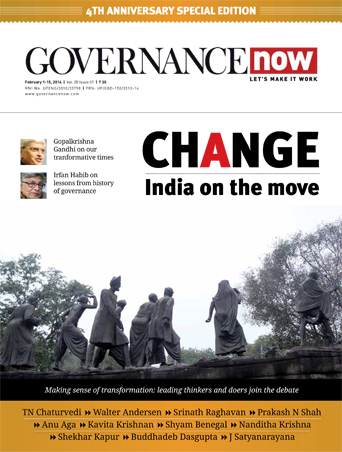 What does governance mean to you? It means taking care of people and things around in a moral, ethical and disciplined way. It is similar to parenting. It is not what the child wants but what the child needs and giving it to him/her in a restrained and disciplined manner to ensure their good upbringing. Tough governance – knowing what is good for the people and ensuring it is done – may not always please everyone but will yield great results. What can the government do to promote classical dance forms? Start by having a strong cultural policy. At present you are busy with? Concerts. Also dwelling on an idea for a new production. Dance is a physically grueling field with a long period of struggle. Even the most privileged dancers have to go through it. My advice is to stick with it through the tough times and have faith. Dance is all about enjoying the process.